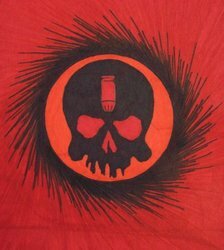 We are a renegade steampunk group with bases all over Texas and scouts in other muliverses. We prefer to travel by rail because the thought of an airship sickens our leader the Dark Professor. The Professor's right hand man Alexander bishop, leads the the security efforts with Jeffery, as his apprentice, and a few others as scouts and low ranking security officers. The Professor also has The Child which who, has been prophetised as the one who will bring peace, and order. The child's keeper She Is is a dark spirited being whom over sees the safety of The Child. We will continue the recruitment of new solders for the Professor's drive for absolute power over the multiverse.